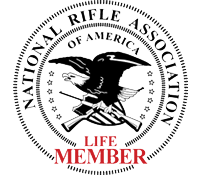 If you are anything like me, you carry everyday. In my case I carry a Springfield XDM 45 IWB and 2 spare mags IWB on the off side. On top of all that, I am a big guy. So between my size, my carry style and the amount I carry, finding a belt is a serious issue for me. So when I got an email from an old contact about anew belt on the market I was suspicious. The first surprise was they had no issue providing the size I needed. But size aside, it was leather. While leather looks good and is always a plus in dressier situations, it doesn’t last under the punishment of daily carry habits like mine. 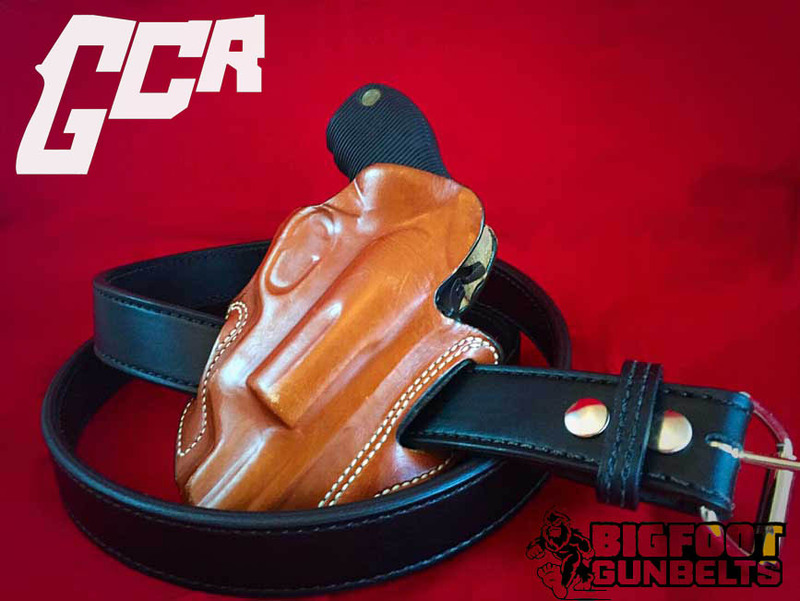 My past leather belts, which I purpose bought for my CCW needs, have always ended up sagging or twisting under the strain. 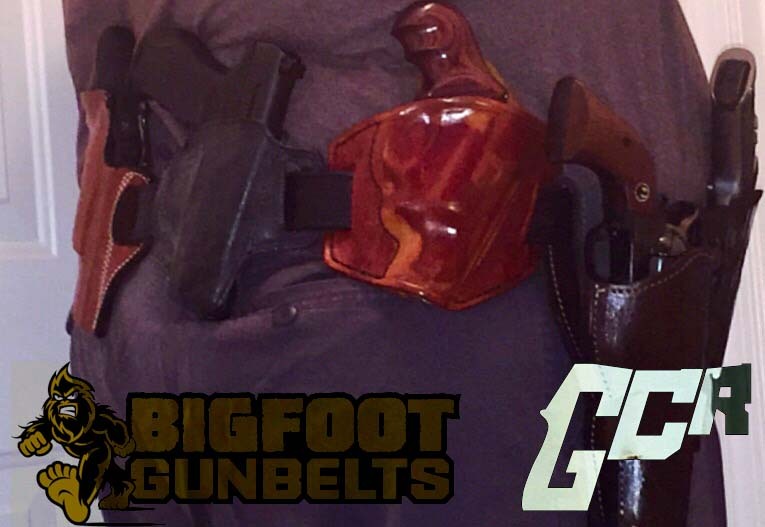 When the Bigfoot Gun Belt arrived I could see immediately that it was going to be different. 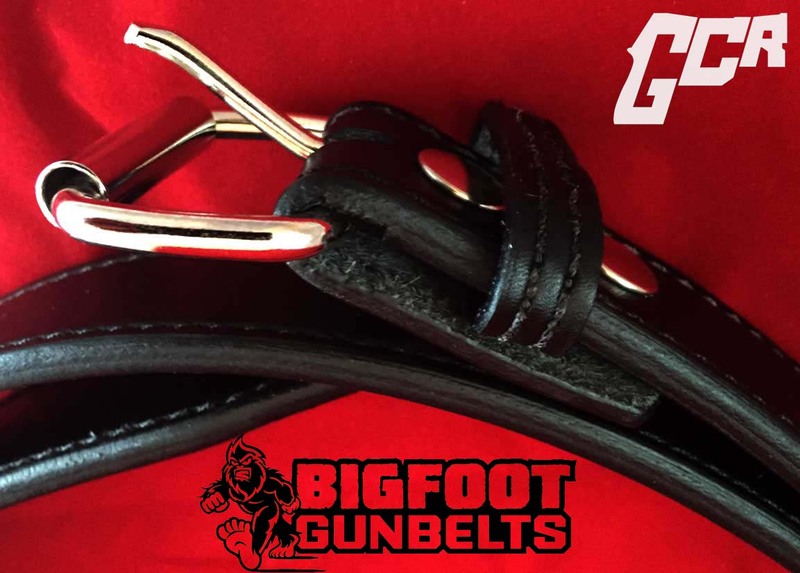 The belt just looked super thick and when you feel it there is a stiffness where you want it and suppleness in the right places. 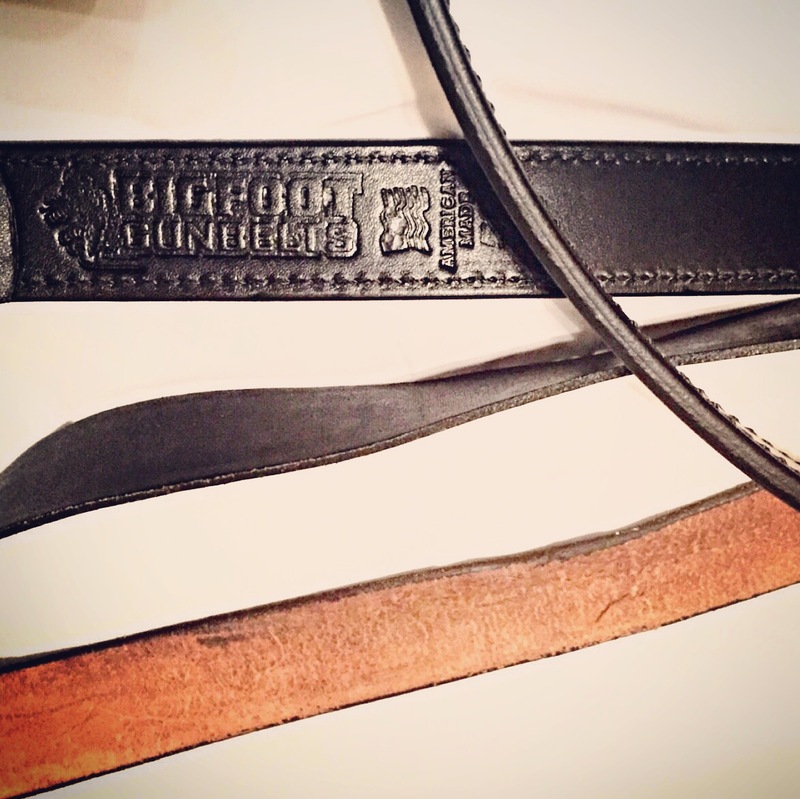 The belt is finished beautifully inside and out and has a removable buckle. The thickness comes from a double layer of leather that is stitched perfectly and fused in a way that makes it seem as one. The secret to it’s success though is hidden inside. 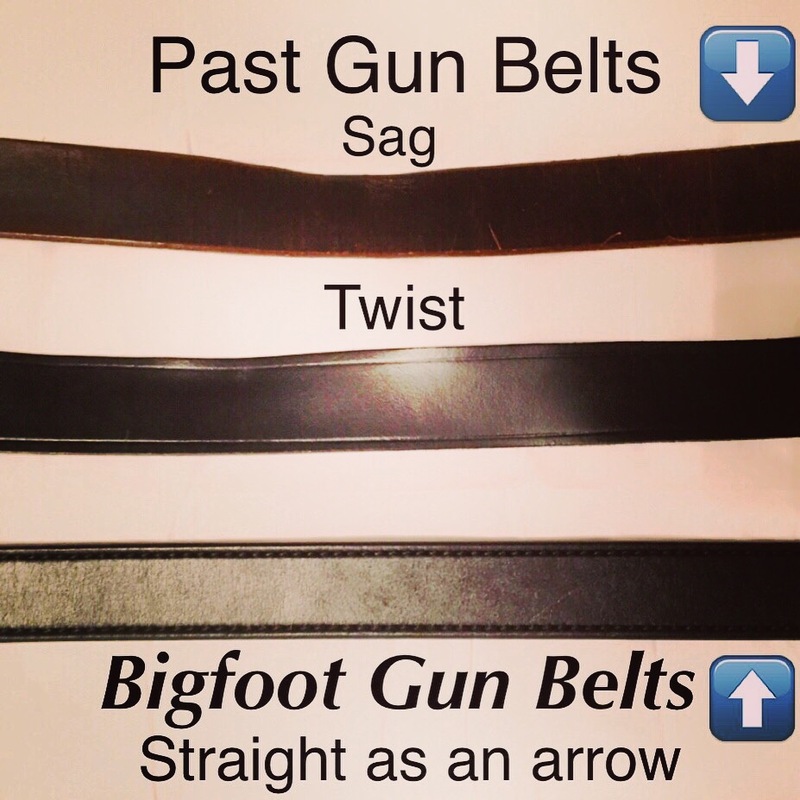 Bigfoot puts a spring tempered steel strip in between the layers. That may sound alarming at first, but they have hit the sweet spot with the thickness chosen. The belt flexes as normal and is completely comfortable. In the other direction however the core lends a strength to the belt that eliminates sagging or twisting due to hard use. 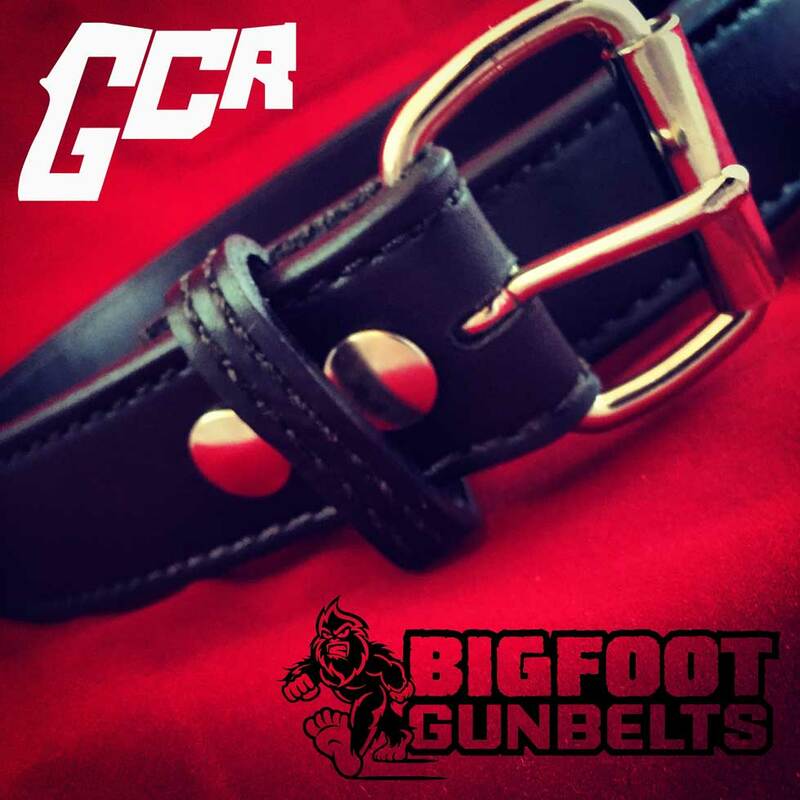 I have used this belt for my heavy carry options daily and I’ve used it with a suit when I needed a clean and stylish look. It fits in with both jobs completely. The only thing I will not comment about would be nickel content of the buckle. I don’t know the content and haven’t had enough skin contact during the seasons I have had the belt to have a reaction. I don’t know if I would or not but the buckle is removable so if a problem arises there is an easy correction by swapping to a nickel free buckle. 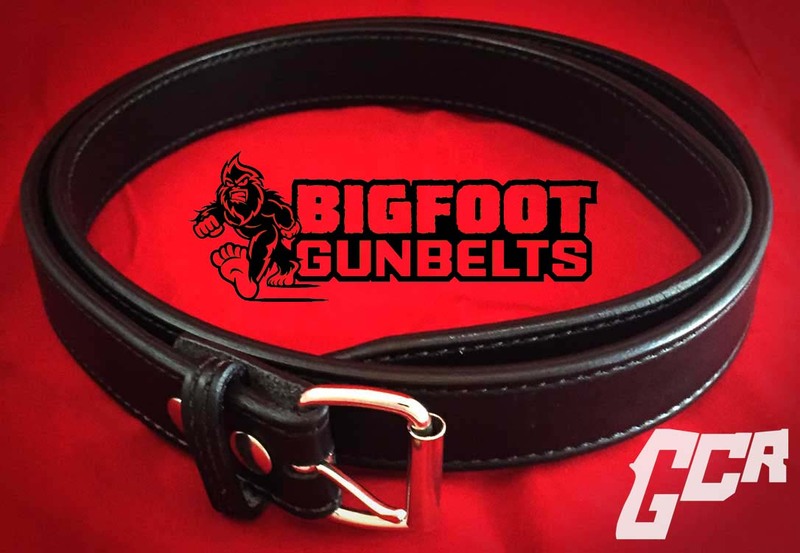 The Bigfoot Gun Belt is a top choice for anyone that wants a quality belt for the long haul. 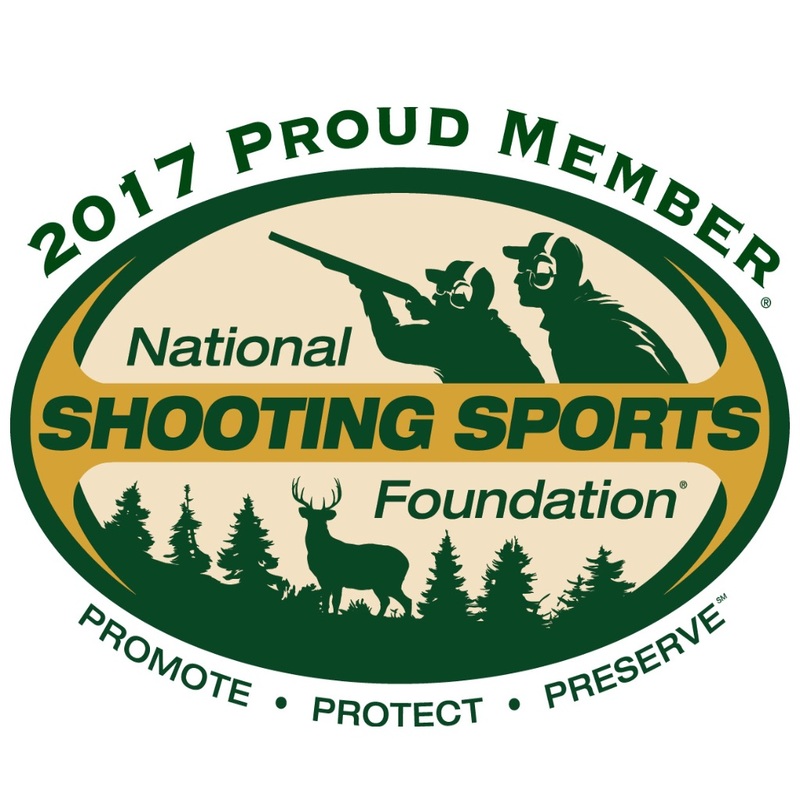 I believe it will look flawless for years to come whether you carry like I do or not.